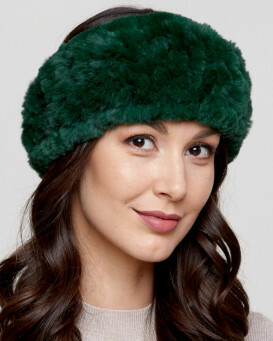 Steal the look with our lush Knit Rex Rabbit Fur Headband for her. 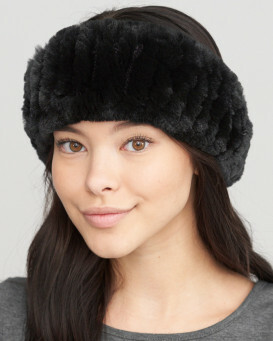 This designer accessory is crafted with dyed Rex Rabbit fur with a velvety texture to the touch. The fur doesn't shed and is certain to last through the seasons. 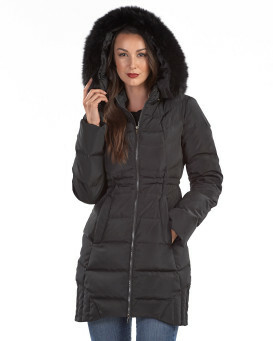 The lightweight design features fur on both sides that is sheared to the softest undercoat. 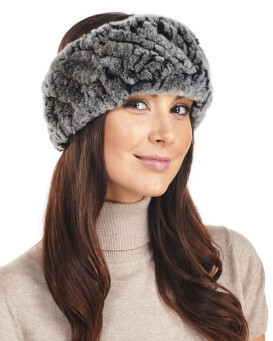 An elasticized band stretches for your comfort and this accessory can be worn as a chic neck warmer as well as a headband. The classic look is one size fits all to make a great gift for a special occasion. 4.5 / 5 from 55 customer reviews. "amazing product, very good quality, very happy with it, beautiful color , very soft and stylish"
"I love it -the colour is true to the photo, it fits great, is nice and soft and extremely warm. To top it off, I have had many compliments on how attractive it is. I couldn't be happier with this purchase. Great shipping service as well." "This is absolutely fabulous. 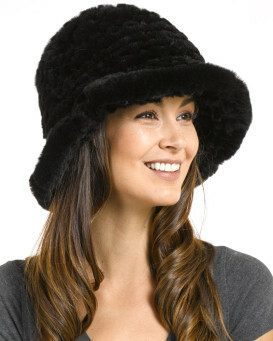 It has fur inside and out and is softly elasticated making it a really lovely and comfortable fit. Matches the fur scarf I bought beautifully. 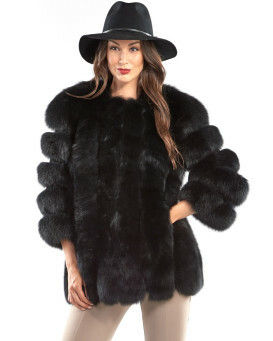 Can't wait to start wearing this over the winter. Ps. Excellent service to the UK. Very fast delivery." "Beautiful, high-quality band. And it is very wide. It will fit any size head because it's very elastic. The quality is outstanding. I bought it because it was on sale. Although high-quality I felt that it was overpriced. I would not have been able to afford it at the regular price but thank God for sales." "Softer than any synthetic. Purchased this for my girlfriend because we are from Texas and spending 3 months here in Missouri on a contract and she loves it. 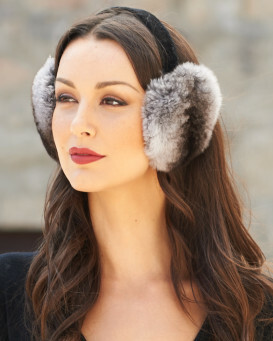 It’s stays put and out of her way and keeps her ears warm. Amazing quality"
"I bought this for our trip to NY and it was perfect, and so cute on, just as pictured!" "My wife loves her rex rabbit. Soft and comfortable. Lots of stretch for endless fit no matter the hair style. The black just sparkles. Free shipping got my 5 items to me in 4 days. Fast and accurate along with quality product."